Your professional self-storage facility in Redlands CA takes pride in protecting heirlooms, RVs, and other investments. We are a facility that leaves no feature or amenity out when it comes to keeping belongings looking and functioning like new, Vines Storage would also like to help you with move-in. Some items are best kept at home or properly discarded, so they don’t threaten other belongings in your unit or the belongings of fellow storage clients. Climate-controlled spaces are an important amenity to our clients, but Vines Storage isn’t trying to safely store those products that contain hazardous chemicals or toxic ingredients. 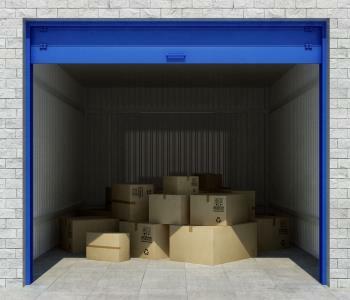 Keep kerosene, grease, weed killers, charcoal, corrosives, fertilizer, paints, propane tanks, cleaners, and other potentially flammable items out of the storage unit. Lawn mowers and other seasonal equipment are welcome, if any fuel and oil has been properly drained from the machine before storage. Vines Storage is pleased we’re able to safely and securely accommodate business equipment and office supplies. However, some industry-specific items must be placed elsewhere. For example, if you’re questioning any potentially hazardous or radioactive medical supplies, contact us. Weapons, ammunition, and other explosives are also prohibited, regardless of your reason for storing them. We want to make sure all belongings at Vines Storage are safe, and continue to look and work as well as they did when you bought them. Questions or concerns? Call 909-389-6209.